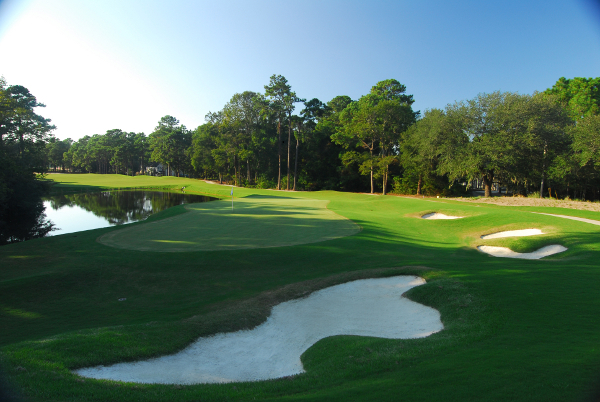 Re-opened in 2008, the Founders Club at Pawley’s Island is one of the newest courses in the Myrtle Beach area and is part of the Classic Golf Group family of courses which also includes Burning Ridge, Black Bear, and Indian Wells. 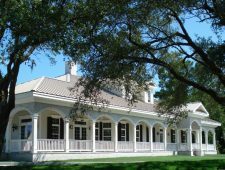 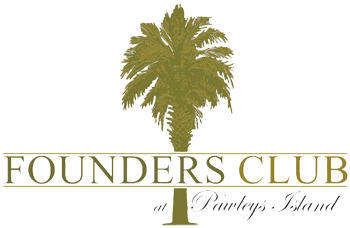 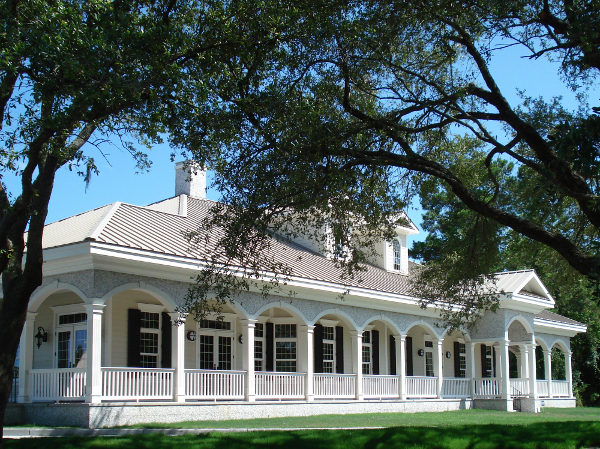 The Founders Club was designed by Thomas Walker and built on the former site of the Sea Gulf Golf Club which opened in 1966. The Founders Club is a par-72 that runs 7,007 yards from the back tees. 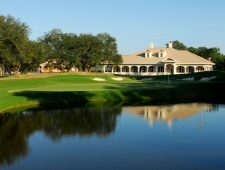 However, because the Founders Club offers five sets of tees, golfers of all skill levels will feel comfortable playing here. 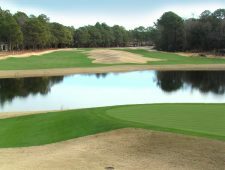 The course designer took advantage of the natural gold-andorange sands to serve as transition areas, and moved over 250,000 cubic yards of dirt to give the naturally flatter front nine a greater resemblance to the more rolling back nine. 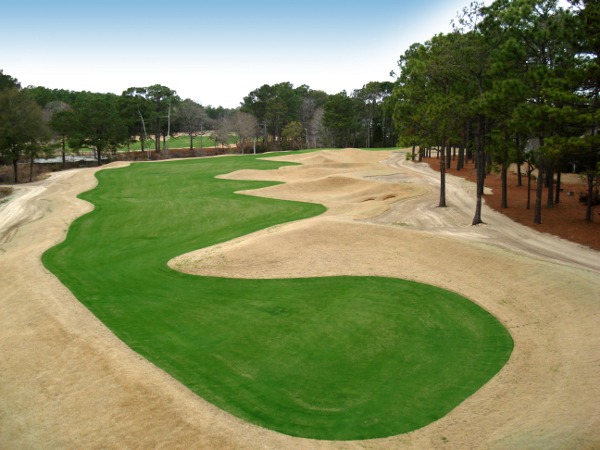 The fairways boast Emerald Bermuda grass while the greens offer 419 Bermuda grass. 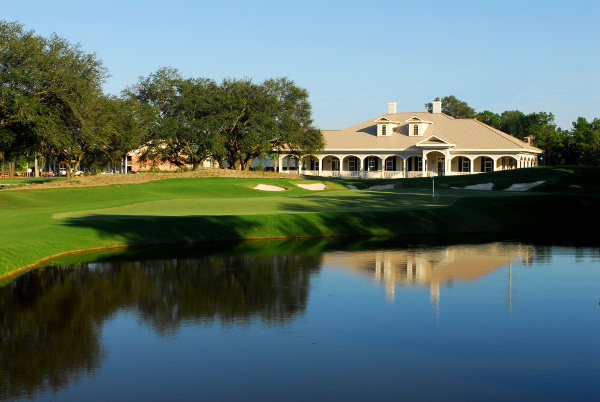 Fees are a little on the high side at the Founders Club, but worth it. 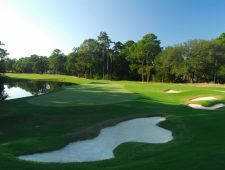 Golfers looking to save a few dollars can play at a reduced rate during the afternoon hours, early AM or pair with other Classic Golf Group courses.